Social Studies: A How To Skills Resource integrates skills and content, which maximizes precious classroom time without interfering with your core curriculum. 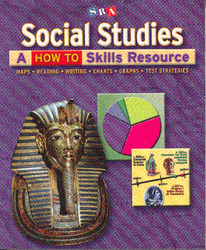 It utilizes social studies content to teach valuable cross-curricular skills in a step-by-step format. The skills and strategies the students learn to master include: map skills, reading and thinking skills, writing and research skills, chart and graph skills, and test-taking strategies.